This week finds us in Nashville, Tennessee, “Music City” of America and home to a growing number of fashion designers. Meet Camille, fashion blogger known as Serial Outfit Repeater, for her unique perspectives and insights into today’s fashions. I love all types of coffee! It really depends on the day. If I’m on the go and need a quick pick-me-up, a cortado is my choice of beverage, but if I have a little more time, I love relaxing with an almond milk latte. I recently tried a latte made with golden turmeric milk and that may be my favorite. A Gemini, so I have multiple sides – as indicated by my multiple coffee preferences. The title of my blog is Serial Outfit Repeater, and it’s based on fashion for the everyday woman. There’s this stigma in fashion that you can’t wear the same thing twice, but that’s just not realistic in real life. I love having a wardrobe reduced to simple pieces as they all mix and match better and make it easy to get ready in the morning. I love the organic sheet face masks that are popular right now. They look silly, but they really refresh my skin. 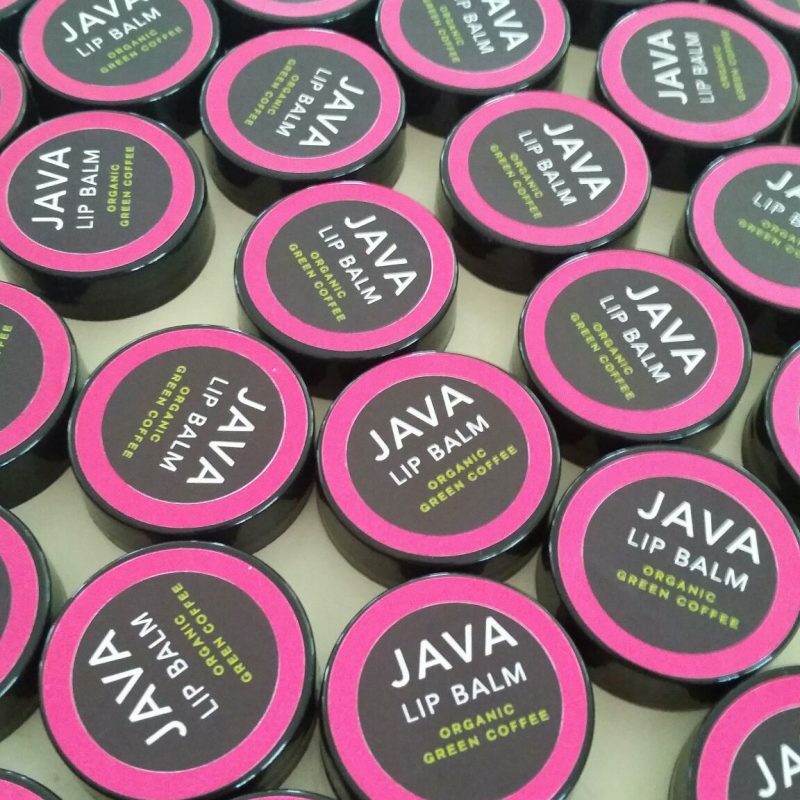 I also love the Java product line – all of their products smell heavenly. That’s a hard choice! The serum really brings my beauty routine to a whole new level – after I shave, I apply the serum before I moisturize for glowing skin. The lip balm is also a really beautiful shade of plum. And, like I said, all of the products make me smell amazing! 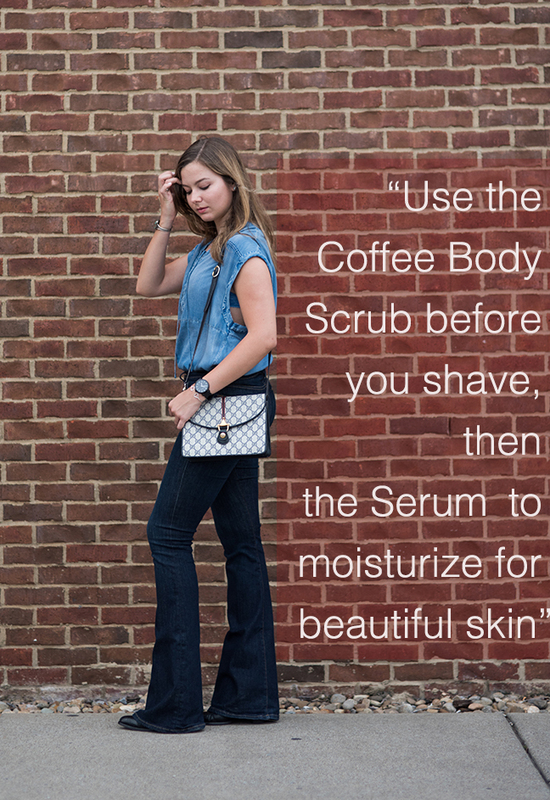 Use the coffee body scrub before you shave, then the serum to moisturize for beautiful skin.